Fasting is the period of time when we don`t eat and it is equally as important as the feeding time. Balance between the two is essential for a healthy life span. Everything shorter than 48 hours is considered a short fast. The easiest way to have a reasonable and sustainable fast is 16 hours which means to spend 8 hours in a fed state. It will be even easier if we approach it wisely and stop eating around 7-8PM. No overnight eating shouldn`t be a big challenge as it is proven that we are the least hungry right after waking up. The first meal should be around noon which would make it about a 16-hour fast. Unless there is a specific medical condition that requires fasting as a treatment, an average healthy person should implement it periodically. Children, teenagers, pregnant or breastfeeding women need extra nutrients and must avoid it. Patients who are using medicine for diabetes must consult their doctors to adjust the dosage and avoid the risk of hypoglycemia. Following the low carb high fat diet for a while prior to implementing fasting as a part of lifestyle is a very wise idea. This way our body gets prepared metabolically. Its side effects would be avoided as well. Read more about implementing a low carb diet. The most significant is weight loss. It comes with lowered insulin and lowered blood sugar as a package. 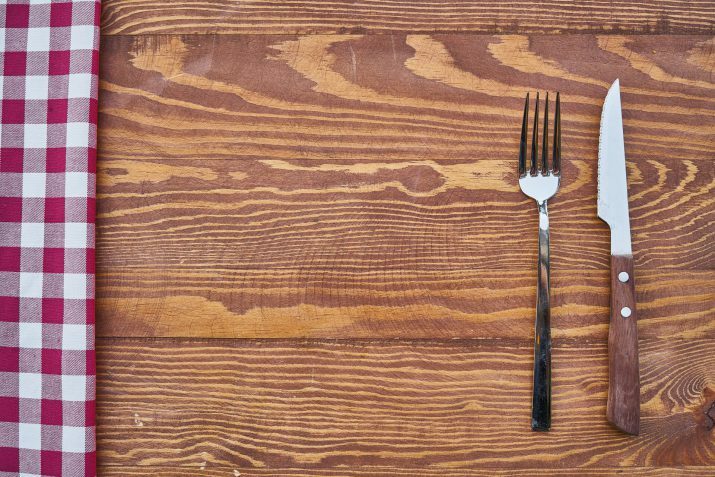 If fasting remains a part of a lifestyle for an extended period of time it might lead a patient to insulin resistance reversal and type 2 diabetes reversal, too. Next to controlled weight, blood sugar and blood pressure, fasting is a key factor in kicking off AUTOPHAGY, a way to treat some types of cancer and Alzheimer`s disease. WEIGHT LOSS is hormonally regulated. Understanding this will set fasting above any calorie restricted diet which mostly lead to increased hunger. Low carb high fat diet is a wise step prior to fasting, as the body`s response is fat adaptation which secures complete absence of hunger, taken care of by the hormone leptin. More importantly, the door of the body`s fat storage will be widely open and ready to release the fat to be used for fuel. This is the reason why fasting is more efficient and sustainable over longer period of time if implemented wisely. Unlike calorie restricted diets, regardless the calories. If we eat very little, but all day long, insulin is high, hunger becomes a real struggle and fat storage is not accessible. Fasting is a natural way to keep blood glucose level controlled and low which makes type 2 diabetes reversal possible, even though it has always been qualified as a chronic disease. It takes time to get blood glucose, together with weight, under control naturally. Dietary adjustments followed by fasting will take care of it with no added insulin or any every day medicine. Human body is perfect. In absence of nutrients, when insulin is low and glucagon raises, and our body needs fuel for energy immediately, there are always junk cells to get rid of and provide that needed energy quickly. It almost seems like magic, but those damaged cell parts just burned will be the first to be rebuilt when the nutrients become available again. This is autophagy, or the cellular cleansing, and it kicks in after about 72 hours of fasting (time can vary depending on the individual). Autophagy is a way to counteract viruses and diseases by eliminating damaged cell parts. This process not only prevents the worst diseases as cancer and Alzheimer’s – it is the way to treat them. This is the healthiest way to fight aging, and absolutely the most important benefit of fasting. People doubt fasting because of potential lean muscle loss. But, this way they doubt that the body is smart enough to take care of itself, right? To prevent muscle loss while fasting our body sky-rockets the growth hormone. If there’s any damage to our muscles over the fasting period be sure that it will be rebuilt rapidly, right after the fasting period. This is the way to look at the complete relationship between fasting and conserving lean body mass – it is not only about what we lose during the period of fasting (which is negligible muscle loss) but it is more about what is rebuilt after. There is no fear that lean muscle loss is a side effect of fasting. 1. Go low carb-high fat for three weeks. 2. Start fasting every other day in 16-8 hours ratio (16 hours fasting followed by 8 hours of feeding). Keep the low carb nutritional approach. Stop eating at 8PM- no overnight eating- skip breakfast-eat at noon. Try to eat only if hungry. Follow this routine for three weeks (every other day). 3. Implement 16-8 ratio as an every day routine. Benefits will already be there- from weight loss, to increased energy levels, better focus. Sustained over longer period of time fasting leads to insulin resistance reversal or diabetes type 2 reversal as well. Injuries very often lead to a huge lack of motivation. Giving up on goals. Gaining weight. Unhealthy life. I got seriously injured which required a long time out of running and it is always a struggle for a highly active individual, as I am. But this time I decided to approach this situation differently. I made a checklist of my weaknesses and set the future goals higher than ever. I promised to myself to be back lighter, stronger and smarter. 10-12 pounds less could be a game-changer in marathon running, stronger body would decrease the risk of new injuries. I started 16-20-hour fasting, which after a week became one meal a day routine. Not just in order to lose weight but to challenge myself mentally while life in motion was not possible. It turned out to be a brilliant idea which has showed me the power of fasting. As I was already fat adapted it was not hard to sustain it, but I can’t say it is the merriest approach. Anyway, it kept me focused. I was losing weight. I was not craving food but miles, while visualizing my future marathons. It was a challenging month- one meal a day, home workouts, patience. Just one of the four recovery months ended. I kept fasting every now and then during the rest of the recovery period- 12 pounds weight loss- achieved! Focus-achieved… Already back to short runs-heading to my new training block- ready to fly. It is obvious that fasting is an important tool to optimizing health. Controlled blood sugar is a must. Surreal energy level in a fasted state is just plain awesome. But most importantly, fasting kept me on the right track towards my goals. More than 65% of American population is overweight or obese. Almost 50% of American adults are prediabetic or diabetic. Before the Western diet came into play, these numbers were negligible, and nowadays they only get worse. But… There are some dietary (healthy?) guidelines published by the government every 5 years. There are some macronutrient ratios, too. These guidelines recommend that 45-65% of our daily caloric intake come from carbohydrates, which in an era of diabetes sounds too high. But, we even overconsume on this! The fact that one in four kids is overweight or obese makes me angry and sad at the same time. We have guidelines to teach us what we have to eat, but we obviously need the ones to teach us not to eat as well.